It's all about the knobs. Two knobs for twisting. A pokey, pointy, splintery edge. 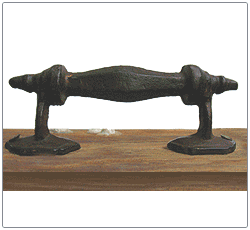 An inexhaustible power source.1 A great iron handle. rPlank™ be even more confounding, and far more deadly, than anything the lubbers have ever seen.2 You're going to need some instructions. If you manages to pick up the rPlank™ you'll be sure to think twice about layin' her down, as that would only mean that you have to face her evil, splinter-sharp splintery bits all over again the next time you wanted to play with her. She's 35% sharper than most ship's planks, the rPlank™ is much heavier, due to her thick encrustation of sharp barnacles and sturdy iron handle. 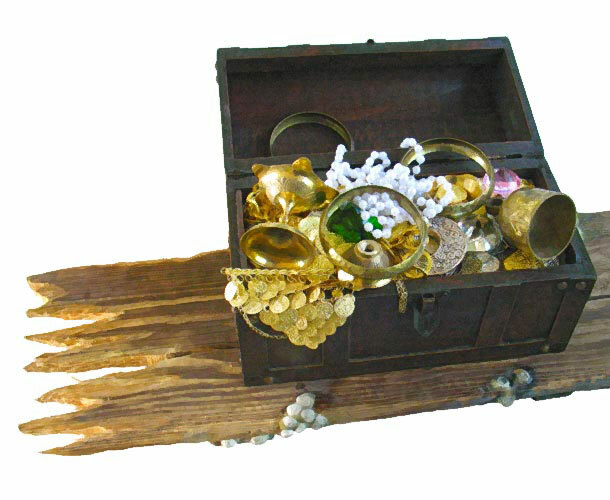 Still, it be well worth the risk of dismemberment to get at all the treasures the rPlank™ has to offer, now ain't it? 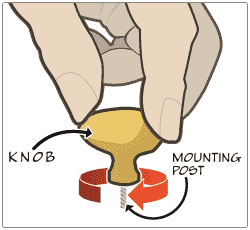 Knobs and Screws? Oh My! Rather like a wanton wench named "Sheila", rPlank™ may become loose and free-spirited from time to time, requiring you to grasp her by her big round knobs and screw her Apps™ down to the plank. Captain Drews superior space pirate technology brings back the concept of muscle memory and screwing. And wenches. Did we mention screwing?? Its almost unbelievable how much power weve packed into rPlank™. 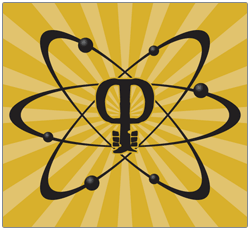 Still, for the purposes of selling you one, wed like for you to actually believe in this amazing power source. Even if your modern science cant determine that its even working and begins to suspect that its made of cardboard covered in glue, covered in sand, covered in paint. Please stop reading now. Oh sure, we've mentioned them several times on this website, but these truly be some wondrous splinters. 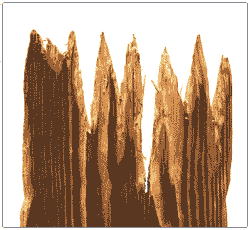 Let them other sea devils fight with cutlass and shot - you've got the power of deadly wooden barbs on your side. Also doubles as a rich source of toothpicks when you've a piece of gristle caught twixt your gold teeth, Jim m'lad. The rPlank™s decorative iron handle, "inspired by" a Spaniard's coffin, makes it ever so easy for you to take rPlank™ along on a raid! Tie a rope to the handle and use rPlank™ as a comfy seat when swinging over to board merchant ships. There are as many uses for the rPlank™s handle as there are carbuncles on your behind. Guys talk. You hear things. That's right, an old-fashioned 70 page owner's manual! 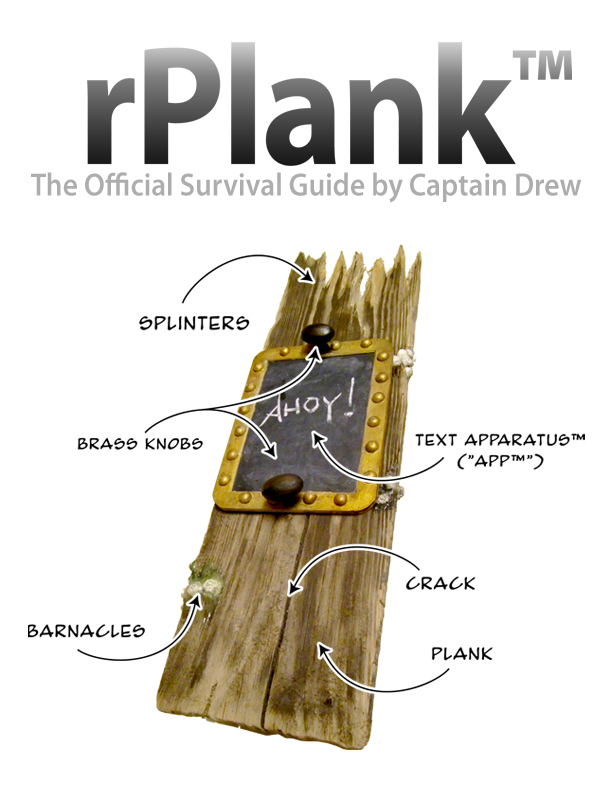 How else are you going to understand how to use your rPlank™ without consulting this handy guide, written by your old space pirate pal Captain Drew? 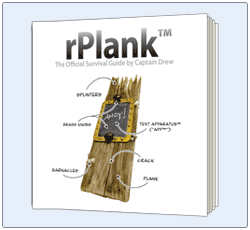 Just click on over to the Buy Now page and find out how you can get a printed copy or an eBook of the rPlank™ Survival Guide for your nerdy pirate friends. It's the cheapest "talk like a pirate" gift around! 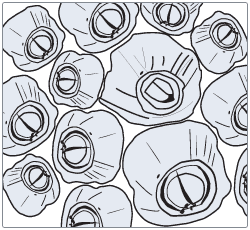 Not meant for use within 50 cubic kilometers of human reproductive organs. And by "Lubbers" we mean anyone using Microsoft Windows. Seriously, Clippy?